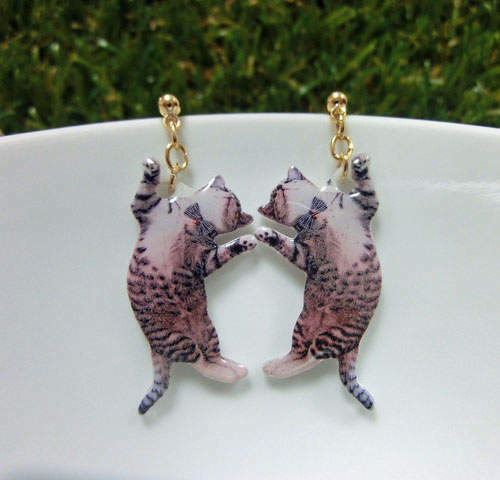 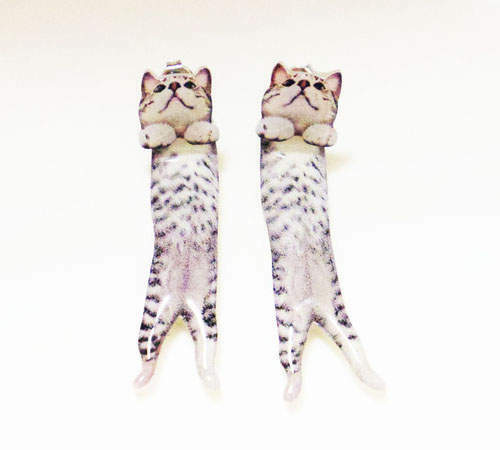 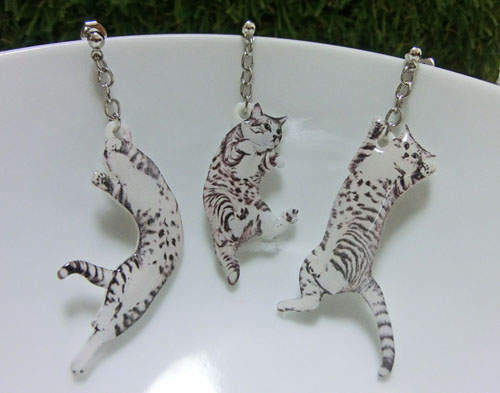 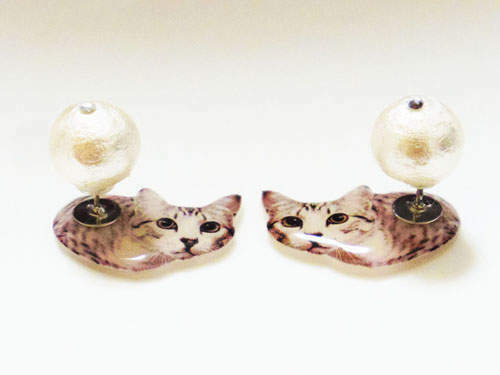 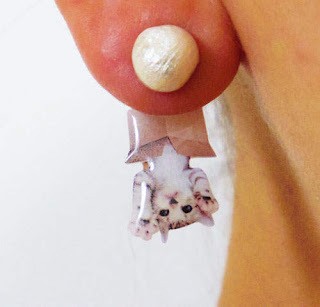 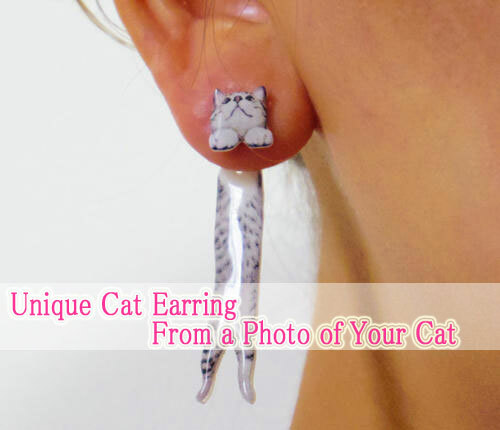 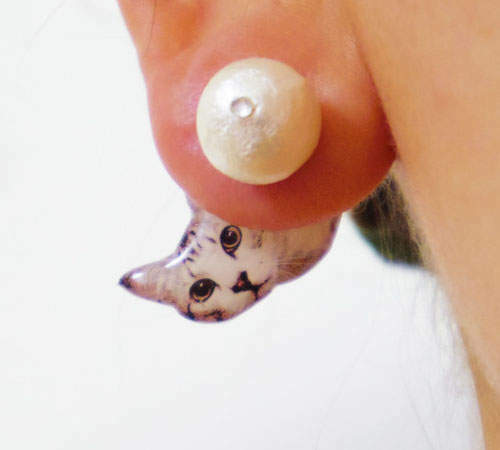 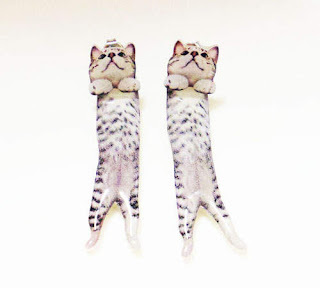 Now cats lovers can get custom earrings with your own cat’s photo from Leo The Cat Gallery, an online store in Japan. 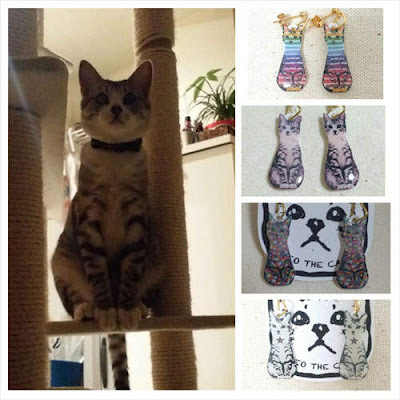 Leo The Cat Gallery is an online accessory shop where you are buy bow collars for your cats and also get tasteful and unique custom earrings with you cat’s photograph. 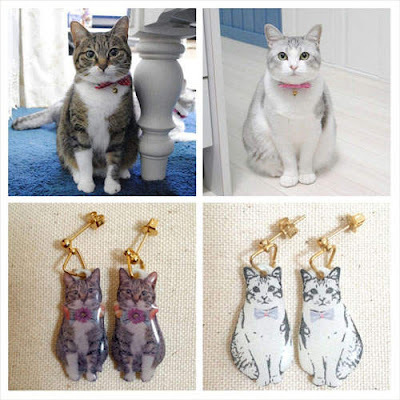 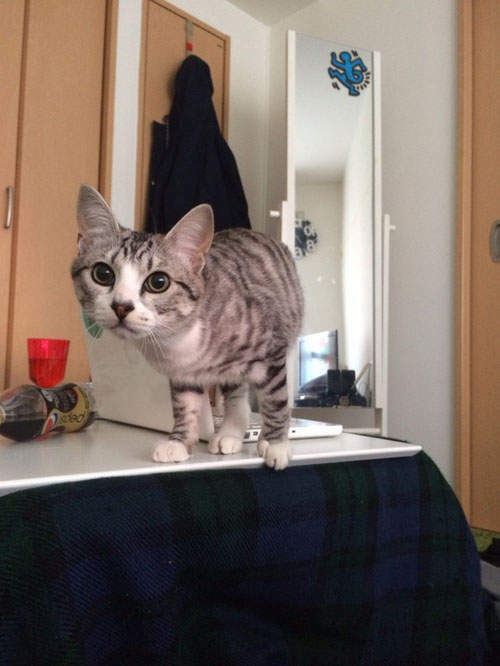 All you need to do is snap a photo of your cat, and have it made into a pair of custom-crafted earrings from this Japanese online store. Each pair is made to order by Leo the Cat Gallery, an online accessory shop whose artisan’s passions are fashion and felines. 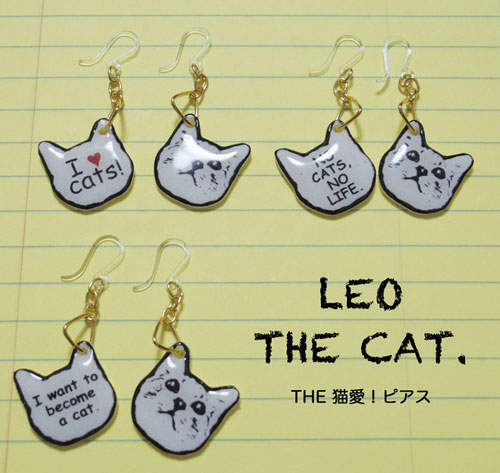 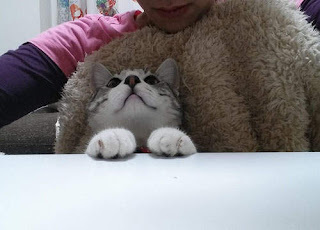 Snap a picture and attach it to the order form, and Leo can create earrings bearing your pet’s likeness in four basic categories, with the least expensive being the Head Only type which costs 2,100 yen (US$20.80) for a pair.